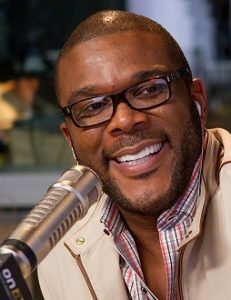 Actor, playwright, filmmaker, and comedian Tyler Perry will bring his beloved characters to Indianapolis as part of the Tyler Perry’s “Madea’s Farewell Play Tour.” The nationwide tour will be Perry’s 21st stage play. In addition to Perry, the play will star Tamela Mann, David Mann, and Cassi Davis Patton. Perry made headlines last month when he announced that he would be hanging up Madea’s wig in 2019, with the expected final stage play and the upcoming film Madea’s Family Funeral, being released by Lionsgate on March 1, 2019. Perry’s incredible run has included Woman Thou Art Loosed! and I Can Do Bad All By Myself, which marked the first appearance of the now-legendary Madea. The God-fearing, gun-toting, pot-smoking, loud-mouthed grandmother Madea was played by Perry himself. Madea was such a resounding success, she soon spawned a series of plays – Madea’s Family Reunion (2002), Madea’s Class Reunion (2003), Madea Goes To Jail (2005) – and set the stage for Perry’s jump to the big screen. In 2015 Perry returned to the stage, performing his new original play, Madea on the Run, to sold out audiences across the United States.